The village Weißig lies nestled in the heart of Saxon Switzerland in the Elbe Sandstone Mountains, above the health resort Rathen, and is a central starting point for hiking and cycling tours. 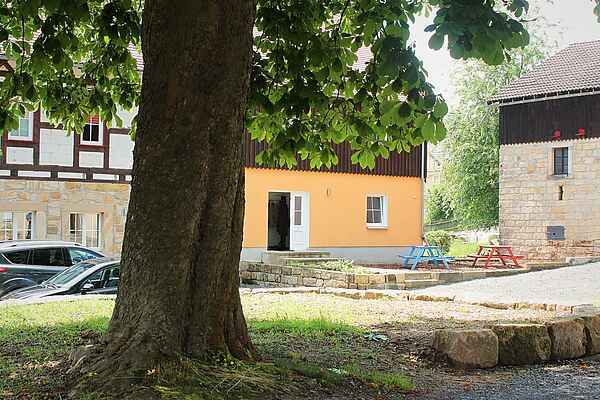 The bright, fully furnished apartment is located in a listed residential building on a three-sided farm in Saxony. Wind down in the garden after an active, eventful day. Garden furniture and a barbecue area are at your disposal. The apartment's central location is ideal for excursions into the surrounding area. Recommended destinations: Steamboat trip on the Elbe with the "Weiße Flotte", Königstein Fortress, Rathen Natural Open Air Stage, Pirna, Schandau, Dresden or Meißen.